When I was young, I used to go to the big top circus equestrian ice cream impatient jugglers lions noses scared squabble tamers tiered I don't know with my grandparents. Sometimes, during the winter, the big top circus equestrian ice cream impatient jugglers lions noses scared squabble tamers tiered I don't know was covered by snow. It was a marvellous sight to behold. 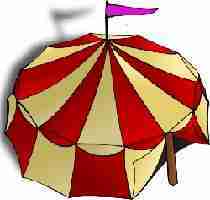 I liked to sit on the big top circus equestrian ice cream impatient jugglers lions noses scared squabble tamers tiered I don't know seating just in front of the ring so as to have a good view of the action. My grandfather used to buy me a huge big top circus equestrian ice cream impatient jugglers lions noses scared squabble tamers tiered I don't know cone but because of the heat it would melt between my fingers. I was so big top circus equestrian ice cream impatient jugglers lions noses scared squabble tamers tiered I don't know waiting for the different numbers to start. I was very excited when my favourite number - the clowns - came on stage. They made me laugh all the time with their funny faces and their red big top circus equestrian ice cream impatient jugglers lions noses scared squabble tamers tiered I don't know . Now I realize that they would big top circus equestrian ice cream impatient jugglers lions noses scared squabble tamers tiered I don't know on purpose. But as a child, I thought it was real. By contrast, the acrobats big top circus equestrian ice cream impatient jugglers lions noses scared squabble tamers tiered I don't know me because I was afraid they would fall to the ground. I was also totally fascinated by the way the big top circus equestrian ice cream impatient jugglers lions noses scared squabble tamers tiered I don't know managed to guide their animals. I also appreciated the agility of the big top circus equestrian ice cream impatient jugglers lions noses scared squabble tamers tiered I don't know . They could throw and catch different objects so easily. The big top circus equestrian ice cream impatient jugglers lions noses scared squabble tamers tiered I don't know was an absolutely amazing spectacle. The horses could perform difficult figures with ease. The most common animals in the circus are horses, elephants and big top circus equestrian ice cream impatient jugglers lions noses scared squabble tamers tiered I don't know .